If a business you’re responsible for relies on backing up large amounts of electronic information, you’ll probably want to make sure there’s a way to preserve it in the case of an accident. To be more specific, you’ll want to have a contingency plan set up to deal with the possibility of fire damage. A fire in the server room can do more than simply damage infrastructure. It can also set a business back months while you replace ruined equipment, and—perhaps worst of all—it can obliterate large quantities of data that the company needs on a daily basis. Data could include everything from financial records to client databases, so you should only ignore the risk of fir eat the peril of losing some very important assets. If you’re a contractor working on behalf of one of these businesses, it also represents a significant challenge. If you’re worried about losing data when physical servers and computers are threatened, there’s one simple solution: house it somewhere else (or at least house a copy there). Using a cloud based backup lets you store an extra version of your most important information using servers that you won’t be responsible for. Since many of the largest cloud based backup solutions (like Backblaze and Crashplan) take special care to preserve their users’ info, it’s a pretty safe bet that nothing will happen to your stash once you entrust it to them for safekeeping. Of course, this won’t save your equipment or facilities themselves, but it’s better than nothing. In the unfortunate event that damage occurs to your servers and you haven’t stored backups of your information elsewhere, electronic restoration might be the only effective route to take. Many highly sensitive technologies can be restored—at least to some extent—including computers, telecommunications technology, manufacturing machinery and medical instruments. By removing corrosion and deposits, it’s often very possible to get these units working like new again for as little as 10-30% of the cost of replacing them entirely. Once a skilled technician removes contaminants such as soot, dust, and deposits from chemical vapors, he should be able to take the equipment apart, clean the individual pieces, reassemble them, adjust the machinery and return it to service. Of course, one of the best ways to deal with damage is to avoid it completely. You can save yourself from the inconvenience of having to restore your equipment by making sure it’s not an easy place for a fire to start or a flood to break out. Avoid storing flammable materials near sensitive equipment, and make sure electronics aren’t stored under your sprinkler system or near water pipes. It’s also a good idea to have maintenance briefed on the nature of the technology in the area so that they use safe and appropriate methods when cleaning or tidying up around it. Finally, you want to make you have cover if a disaster does happen to strike. Restoring your electronics can save them, but it can also be time-consuming—and you want to make sure you can afford the downtime. That’s why having comprehensive fire and accident insurance is key to keeping you in business when the unexpected occurs. Make sure you understand your policy and keep an up to date copy with you always, just in case. Have Questions about Data Loss? 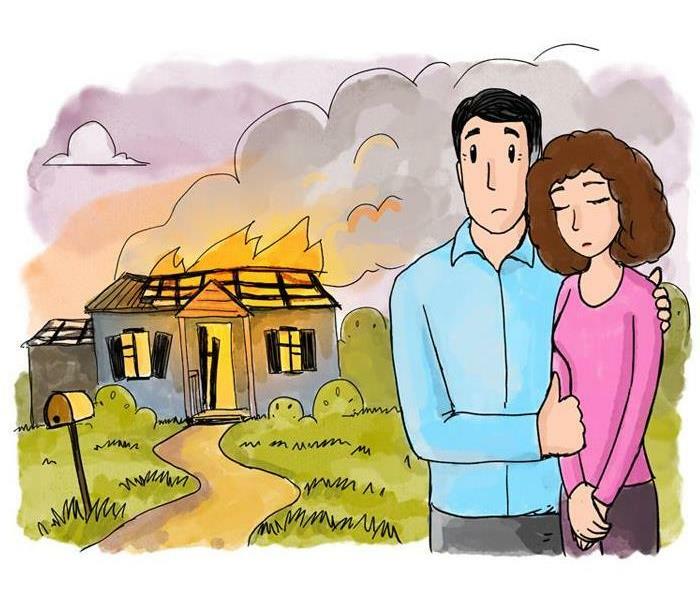 When a homeowner or business suffers a disastrous property loss such as a fire, flood, or storm damage, the financial and emotional toll can be devastating. The family may be out of their home for an extended period and may have lost everything including keepsakes and family heirlooms that they cannot replace. A catastrophic business loss may put many people out of work, work on critical projects may be destroyed, and clients may just take their business elsewhere due to time pressures. 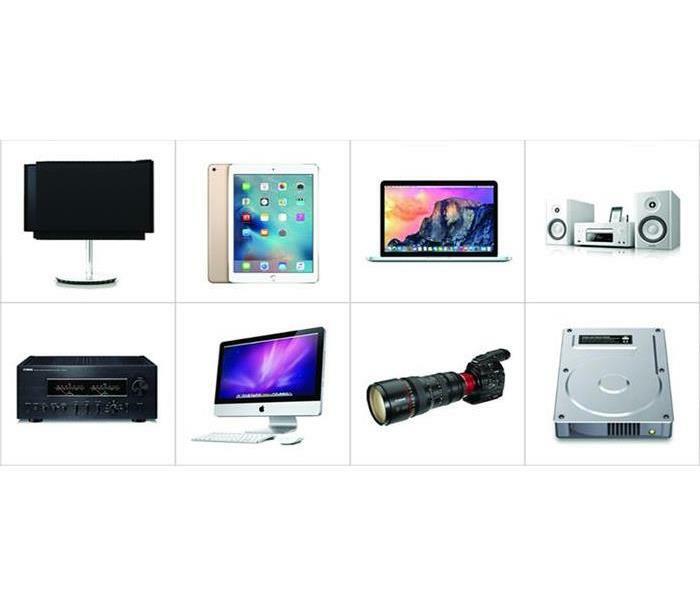 Salvaging some of the electronic equipment may ease some of the loss, both financially and emotionally. There are two significant goals to electronic restoration. Data recovery (also known as content restoration), and equipment restoration. These two critical goals are often intertwined, but the accomplishment of each task is not necessarily interdependent. The goal of most homeowners who have suffered a loss is often the recovery of the digital memories, key documents, photos and videos. Most of us do not give much thought to these items until a loss occurs. Imagine that you suffered a devastating house fire. Your family all got out safely, but your home is now a smoking soggy pile of tinder. Your children’s baby pictures, graduation photos, etc. were in frames all around the home. You felt safe because they were all scanned or downloaded onto your home computer or laptop as a backup. Since the originals were physically destroyed in the fire, your only hope to retrieve them is from your computer. Unfortunately, that is now covered in smoky residue and is soaking wet. The same may be true of your videos. Your child’s first steps, treasured ballet recitals and Christmas morning videos with astonished toddlers who are now all grown up now exist only on your trusty laptop. You were able to find your laptop after the blaze, but the case and screen are both cracked. You then remember that your grandparents’ original naturalization papers and scanned copies of your father’s distinguished military documents were also on the hard drive. You had intended to share these items with other family members but just didn’t seem to find the time. Now, they are lost forever. There is one resource that might be your best chance to recover these items from those damaged hard drives. After a significant loss from a flood, fire or storm, many insurance carriers bring in a service to help clean up the mess, dry or replace carpets, prevent the growth of mold and help you rebuild or restore your home or business. These companies are experienced and excellent at handling these situations. The best companies also have Electronic Restoration specialists to assist them in saving your equipment and mining the critical data from your devices. While repairing the equipment may be technically possible, it does not always make economic sense for outdated equipment. You should also note that it is often possible to retrieve data from the hard drive of a computer without ever making the device operational. You must act quickly. The longer the equipment sits, the more difficult and less chance exists for success. Equipment that is subject to smoke or water will begin to dry out, and the circuit boards may start to rust or short out from the material that accumulated on those boards. As hard drives continue to be subject to exposure to water, dust from fire extinguishers and the elements, there is a greater chance the data contained therein will be inaccessible. Determine what type of contamination occurred, whether water, chemical, smoke, fire extinguisher, etc. Decide how to restore the item, determine what methods and procedures are most likely to be successful. To the extent necessary and feasible, disassemble and clean the components. Examine and test the components. Retest the entire component to make sure it is in good working order and then put back into service. On many occasions, it’s possible to save business or computer equipment by cleaning or replacing a few key components on the circuit boards. Complete recovery of electronic equipment is not always possible, but even a partial success can save lots of time and money for businesses with specialized equipment that is not only expensive but would take a significant amount of time to manufacture as it was custom made for the company. If you suffer one of these horrific losses, make sure that you discuss the use of an electronic restoration company with your insurance carrier immediately. If you are a restoration contractor working for an insurance company, contact our Content Restoration Service Division to determine if some of the electronic equipment on your next job can be restored. Have Questions about Electronic Restoration? Because fire and water can destroy servers or drives stored on site, it’s a good idea to keep backups of important information elsewhere. Use a cloud based backup such as iDrive or Carbonite to store your financial records, contact databases, and other sensitive data. If something does happen to your on-site information storage, you’ll be glad that you did. You’ll want to make sure that an insurance policy is in place for the information and equipment you’re responsible for, but you’ll also want to ensure the records of that policy are safe too—just to keep your bases covered. Without your paperwork, there’s no guarantee that you’ll be able to cash in on your policy, even if it does cover the damages. That’s why having extra copies—physical ones—is vital. Don’t just keep copies in your desk, either. Make sure they’re somewhere that won’t be affected if the emergency they’re supposed to cover strikes. Maintaining a copy in a separate location like your car or a safety deposit box helps to make sure your insurance paperwork isn’t destroyed in the same fire or flood that damages the items it’s meant to protect. Insurance is fantastic, but you can double your protection if you’re sure to buy equipment that comes with a warranty. Warranties often cover fire and flood damage, and in many cases, you can opt to purchase extended warranties at the time of purchase that protects your equipment for extended periods. Make sure to read the information in your warranty agreements carefully, you don’t want to spend extra money on a warranty just to find out that you don’t have cover for fires and floods. Keeping a sharp eye on the fine print is always a good idea. Next, the equipment is disassembled, and each component cleaned. Highly trained electronics professionals are used for this step since this part is the most detail oriented and requires considerable knowledge of how to clean each part. Optical and chemical quality testing follows, after which the device is reassembled, adjusted, and returned to service. Finally, make sure always to update your software to the latest versions. Keeping your software updated often results in the data you store in various applications being saved and backed up to the parent company’s servers (for more detail on this, read the user agreements for your software carefully). A simple example is iTunes—if you’re using a recent version of the app, your purchases will be kept track of via the App Store, and you’ll be able to download them again, even if something happens to your device. No matter what you do, disasters can still occur—and there’s always the possibility that they’ll take out equipment or valuable data. On July 11, 2012, a fire at an IBM data center in Calgary, Alberta temporarily brought down several government services (including 911), and similar incidents have occurred around the world from time to time in recent years. Of course, electronic restoration can often be used to handle these kinds of situations, but it’s better to prevent than cure. Stay vigilant—you’ll find it’s worth your while. Have Questions about Fire and Water Disaster? What can electronic restoration do? Electronic restoration is excellent at treating certain kinds of damage and somewhat less effective at treating others. The good news is that in many cases, electronic restoration works wonders on computers and equipment for medical, manufacturing, or telecommunications purposes. Even in circumstances where a piece of equipment has been totally immersed in flood waters or exposed to smoke, corrosive vapors, and extremely high temperatures, electronic restoration can be shockingly effective. The trick is often to remove deposits of foreign materials, and other effects of corrosion. If successful, it’s possible to save the time and money it would take to replace the equipment entirely. The first thing that should be taken care of before successful electronic restoration is the immediate removal of the damaged device from all power sources and the cessation of its use. Following that, the person conducting the restoration process will perform a chemical analysis of the types of any contaminants affecting the machine and their various concentrations. Various protocols, procedures, and chemicals may then be used, depending on the offending substance. In the case of fire damage, for instance, hydrochloric acid is a common problem—and it can be worse when coupled with the water discharged by a sprinkler system or a hose. To minimize the effects of corrosion, it’s possible to apply a protective lubricant to the damaged components. To limit the chance of further corrosion, it’s best to remove water the room and lower the relative humidity to below 40%. 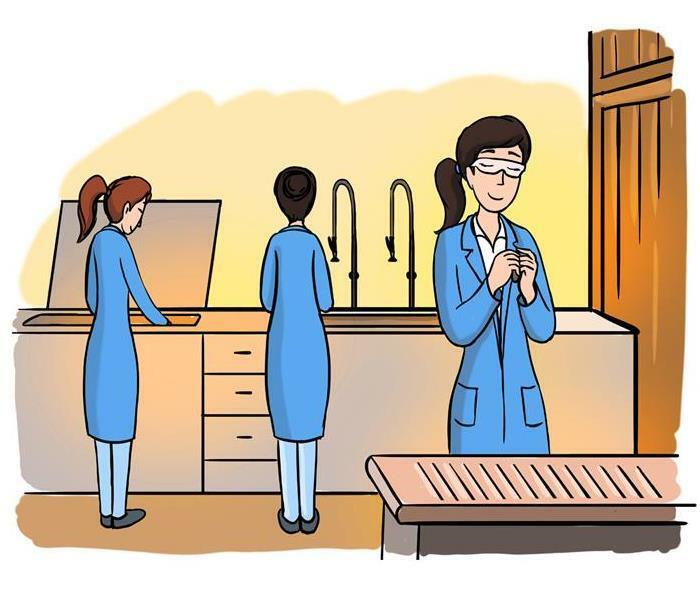 These conditions will prevent a faster chemical reaction between the hydrochloride and the metal from which the affected device is made, buying the technicians much needed time. When restored in this manner, it’s quite common for the damaged electronics to function properly once again, and the data housed inside is frequently intact. 60-70% of electronics treated this way function again without incident, and do not require further repairs. Even over long periods of time, their performance tends to remain at least equal to the way it was before being damaged—and can even improve in some cases. Of course, every damaged unit should be inspected thoroughly to see if it meets restoration criteria, but if it does, then this is an excellent method to restore data and services. Electronics are often a top area of concern for homeowners or business owners whose premises have been damaged by fire or flood. 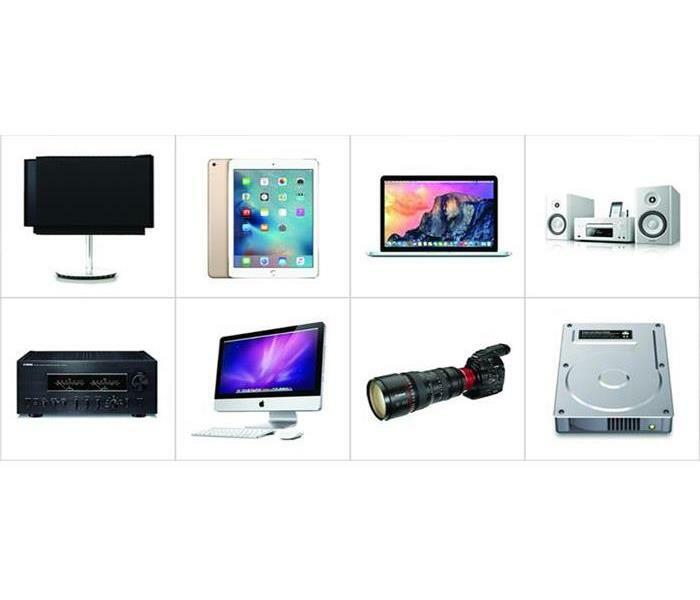 From laptop and desktop computers to tablets and smartphones, all the way to high-end entertainment equipment like televisions and stereos, electronic devices are often extremely expensive to replace. To make matters worse, many electronic devices—particularly computers and smartphones—are loaded with data that may or may not be backed up anywhere else. If you are hoping to recover data from electronics that have been damaged by water or fire, or if you are hoping to salvage and use your devices in the future, then your first step may be a thorough cleaning. Read on to learn more about cleaning tips for water and fire-damaged electronics. After a fire or flood, electronic devices will generally fall into a few specific categories relating to how salvageable they are. With a fire, it’s fairly easy to tell whether or not your electronics have a chance just by looking at them. A laptop or TV that’s been touched by flames and has visible burn marks has likely been cooked and will be tough to save. Electronics that are merely blackened with soot, however, might have a chance. With water damage, it’s a lot more difficult to tell whether it’s worth trying to repair your electronics or recover your data. Water damage usually isn’t as fast-acting as fire, nor does it leave such visibly evident scars. Still, water can degrade a hard drive or motherboard more rapidly than you might think, so the number one rule is always to act fast if you want to try to save your stuff. Electronics that have been submerged in water is increasingly difficult to repair, depending on how long the device in question spent underwater. Electronics that were on at the time of the flood are especially problematic, as they would likely have shorted out upon contact with water. Devices that you were able to fish out of the water quickly, on the other hand, or that just got splashed or dripped on but never completely submerged, might be able to be salvaged with drying and cleaning. It’s also a good idea to take a closer look at any devices that were located in a flooded room. Many home and business owners assume that devices that didn’t come in contact with any water are fine. 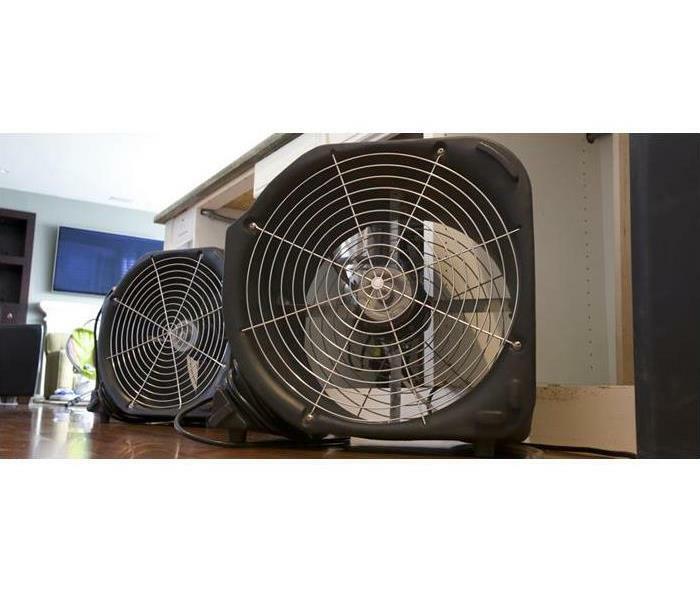 However, computers situated in rooms where flooding occurred can often be negatively affected by humidity. It’s a good idea to have these devices looked at and cleaned to make sure they continue to perform optimally. Especially if your devices have been submerged in floodwater, you’d do better to keep them wet than try drying them off. Floodwater isn’t just water: it’s full of dirt, sand, sediment, and other minerals. If you try to dry off your electronics now, you might end up making the hard drives and other internal components more difficult to clean. You can towel off the outside of your laptop or phone: just don’t try to dry them with a hairdryer or heater. Otherwise, those foreign particles from the floodwater are going to dry as well, and more or less become one with your device’s interior components. Unless you are an electronics expert in your own right, you shouldn’t try to clean your flood or fire-damaged electronics yourself. Instead, call a professional for help. An experienced technician or team will know how to meticulously and safely clean your computer hard drives and other devices. This close and careful cleaning work will give you a better chance of recovering your data or even being able to use your damaged devices again in the future.